Several significant pieces of legislation and decisions took place during this time: Canada ratifies the UN Convention on the Rights of Persons with Disabilities (CRPD) and the Ontario Superior Court certifies the class action lawsuit for former residents of the Huronia Regional Centre. The government of New Brunswick adopts the Disability Support Program as a new program to provide financial support for disability supports for adults ages 19 to 64. NBACL’s Social Inclusion Program is launched to support people with an intellectual disability to live in a home of their own and develop meaningful connections and participation within their communities. Canada ratified the conventions on the rights of persons with disabilities and therefore “Canada agreed to abide by its principles. Some of the obligations associated with signing included modifying or abolishing existing laws, customs, or practices that constitute discrimination against persons with disabilities, refraining from engaging in practices inconsistent with the Convention, as well as to undertake and promote research and development of technologies that can be used to help persons with disabilities overcome barriers to their inclusion in society” Lyster, C. (2015, March 2). NBACL launches its provincial Transition to Work Program to support high school youth with an intellectual disability make successful transitions from high school to employment or post-secondary education. New Brunswick launches 5 year Employment Action Plan for persons with a disability. This plan contains over 30 recommendations to enhance opportunities for people with a disability to find and maintain work for real pay. The Supreme Court of Canada hands down its decision in the Moore case. The court ruled that students with disabilities are entitled to receive the accommodations they require to benefit from the service of public education and that education supports and accommodations are the means by which students gain access to the general education system available to all students. Policy 322 on Inclusive Education is signed by Minister of Education and Early Childhood Development Jody Carr. This landmark policy sets outs standards and expectations for New Brunswick’s K to 12 education system and forbids the congregation and segregation of students on the basis of disability. For more information about Policy 322, follow the hyperlink provided. The Government of New Brunswick reforms social assistance policies to allow people with a disability to save and earn more money. This change allows people certified as disabled to earn $500 per month before social assistance benefits are reduced. After $500 people can also keep 30% of what they earn. This policy change was designed to provide real incentives for people to work and to alleviate poverty faced by people with a disability. The national Ready, Willing and Able initiative is launched by the government of Canada. This initiative is a partnership between CACL and the Canadian Autism Spectrum Disorder Alliance (CASDA) and operates in all provinces and territories through provincial and territorial ACLs. It is designed to increase workforce participation of people with an intellectual disability or ASD. 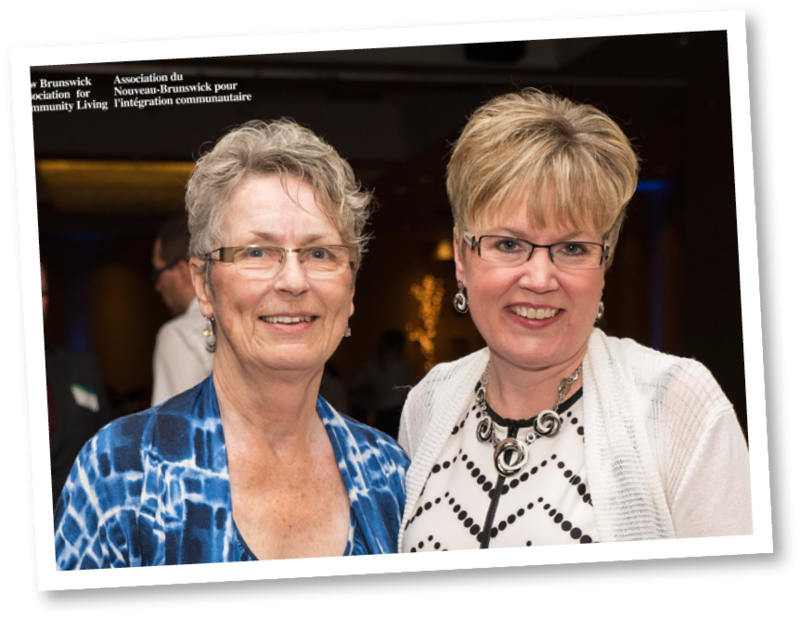 In 2015, The New Brunswick Association for Community Living (NBACL) awarded the first ever Andy Scott Social Policy Award to the Disability Executive’s Network (NBDEN). NBDEN was received this honour because of its contributions to the advancement of social policies recognizing the rights and quality of life for persons with disabilities in New Brunswick. The award was presented to NBDEN by NBACL during the Champions of Inclusion Awards celebration on March 20, 2015 in Fredericton. The late Andy Scott was a stalwart defender of human rights. He was a former federal cabinet minister and MP and also held a research post in social policy at the University of New Brunswick. Mr Scott was a strong supporter of NBACL and the inclusion movement in NB. The award is given out to a person or group who has made significant impact on the advancement of social policy in NB. New Brunswick's Policy 322 on Inclusive Education receives the international Zero Project award for innovative education policy. NB Department of Social Development adopts changes to the Disability Support Program. These changes introduced new rules for people to self-manage their support funding (with greater flexibility over the use of funding for disability supports). The changes also allow people who are eligible for DSP funding to access supports for employment on a long term basis where required. If you want to learn more about the International Zero Project, visit their website with the link provided below. NBACL Executive Director Krista Carr is chosen to become the next Executive Vice President of the Canadian Association for Community Living. The history of NBACL is one of persistence, passion and heart. Looking to the future, we will continue to persevere for the full inclusion and citizenship of New Brunswickers with an intellectual disability in all aspects of society. There are many ways in which you can get involved and help lend your support. You can get better informed about our organization by attending one of our tours; help us spread our message throughout the community; make a donation, either financial or with clothing or household items through our Community Collection Program; volunteer your time to help us spread our message and continue the work that we do; or join our team – new job opportunities arise on a fairly regular basis as our organization continues to grow.